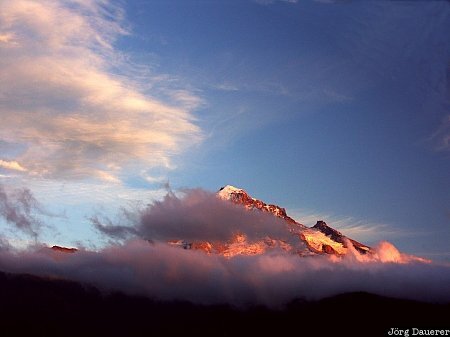 Low clouds in front of Mount Hood which is illuminated by warm evening light. Mount Hood is in the Cascade Mountains in northern Oregon, United States. This photo was taken in the evening of a sunny day in October of 2004. This photo was taken with a digital camera.